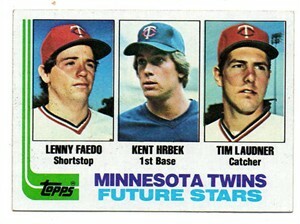 1982 Topps Rookie Card of former Minnesota Twins slugging first baseman Kent Hrbek (#766). ExMt/NrMt or better condition. ONLY THREE AVAILABLE FOR SALE.